What you might find surprising is that Maxana isn’t a NIMBY. She’s one of a growing group of people who say “yes in my backyard,” coining a new acronym: YIMBY. Maxana, who once worked at the sustainability nonprofit Futurewise, had more or less retired from politics. But she got re-engaged after Mayor Ed Murray proposed the Housing Affordability and Livability Agenda (HALA) in 2015. The plan (see sidebar, below), which proposes higher density across the city—including the addition of more backyard cottages and basement apartments in single-family areas—quickly became divisive. Maxana started identifying as a YIMBY because she felt Seattle decision makers needed to hear a positive story about the changes that are coming to the city. She began speaking up at public meetings, studying the details of HALA and tweeting as @YIMBYmom, a quiet rebuke to those who say all urbanists—i.e., people who believe that cities should be dense, culturally vibrant, diverse places with lots of different transportation options—are single, transient renters with no ties to their community. Although they span the political spectrum, from far left social-justice activists to hard-core libertarian free marketeers, YIMBYs generally agree that cities should be accessible and affordable for everyone, whether they own a million-dollar mansion or rent a $900-a-month studio, and whether they work as a barista or just moved to Seattle for a new job at Amazon. 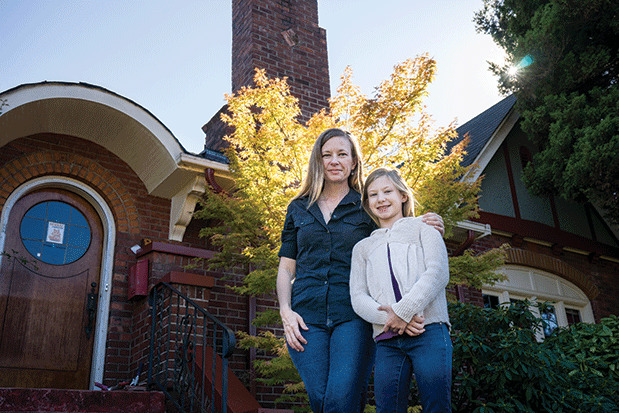 But as more and more people move to Seattle—the city’s long-range plans anticipate 120,000 new residents by 2035—tension between longtime homeowners and renters, many of them relative newcomers to the city, has mounted. Rents in Seattle increased more last year than those in any other big city in the country, and in the past five years, the median rent has increased from just over $1,500 to more than $2,000. Meanwhile, the median income of renters, $47,847, is less than half that of homeowners, $108,768. While the YIMBYs didn’t make this change happen on their own, their support helped provide political cover for Murray and his neighborhood department director, Kathy Nyland (a former Georgetown neighborhood activist who is openly sympathetic to the YIMBY cause), for what turned out to be a controversial move. Many neighborhood activists liked the neighborhood councils as they were. Some neighborhood groups are starting to move in a YIMBY direction. 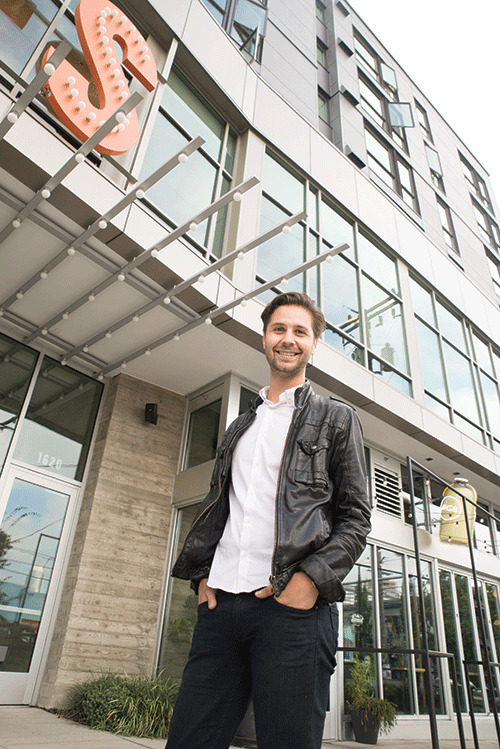 A Capitol Hill renter and self-identified YIMBY, Zachary DeWolf stepped into a leadership vacuum on the Capitol Hill Community Council in 2014. He was first elected vice president in 2014, and then president in 2015. As president, he restructured a traditional neighborhood group dominated by older homeowners into an organization run almost entirely by young renters. His goal: to make the group that represents Capitol Hill more welcoming and inclusive. He has encouraged young renters to run for leadership positions; changed the style of the meetings from a traditional format with leaders sitting at a table facing the audience, to a circular roundtable where everyone can participate; and instituted more after-work hours/evening “community conversations” and “socials” to give a wider range of people a chance to get to know each other and discuss neighborhood issues. Saxman says he admires a lot of what DeWolf has done to bring new people into the council, but argues that “they’re falling short” when it comes to including more racial minorities, longtime residents and low-income people. “I don’t think they’re authentically community-based,” he says. Will Seattle’s future look more like DeWolf and Maxana’s vision—an ever denser city, where newcomers and their ideas are welcome—or more like the city of the past, where conversations were dominated by residents resistant to change? That may depend on whether YIMBYs can make the leap from a vocal group of contrarians who provide a counterpoint to conventional wisdom at city hall to a force that helps guide city policy while bringing new allies, including more single-family homeowners, on board. One sign that yimbys in Seattle are having an impact came last June from 1,300 miles away in Boulder, Colorado. A group of 150 YIMBYs from all over the country convened at an inaugural conference, YIMBY 2016, to talk about their challenges and successes. The Seattle contingent, which included Maxana, Sightline Institute staffer and Capitol Hill renter Serena Larkin, and University District renter and YIMBY activist Laura Bernstein (who tweets at @YIMBYSea), showed up feeling a bit discouraged by local rancor over HALA. But they left energized after delegations from other cities expressed enthusiasm for what they see as an inclusive coalition of Seattle groups that support HALA, which include urban activists, developers, environmentalists and social justice organizations. Including neighbors they don’t even know yet. The proposed Housing Affordability and Livability Agenda (HALA), billed as an “action plan to address Seattle’s affordability crisis,” aims to build 50,000 new housing units in the next 20 years, 20,000 of those affordable to people making less than 60 percent of Seattle’s median income ($37,680 for an individual and $53,760 for a family of four*). Increase the maximum height of new multifamily buildings in multifamily areas and commercial buildings outside downtown, South Lake Union and the University District by 10–20 feet. Ease restrictions on backyard cottages and mother-in-law apartments in single-family areas, to allow as many as one of each on single-family lots. Expand the boundaries of urban villages and rezone about 6 percent of Seattle’s single-family areas to allow low-rise multifamily housing in those areas. Implement anti-displacement strategies in neighborhoods with low-income residents who are especially vulnerable to displacement, and promote homeownership, especially for vulnerable populations. See a full list of HALA strategies at seattle.gov/hala.